Clear and exhaustive documentation is a key element that often makes the difference when approaching a new product. When dealing with complex matters like Engineering Simulations this is even more true. 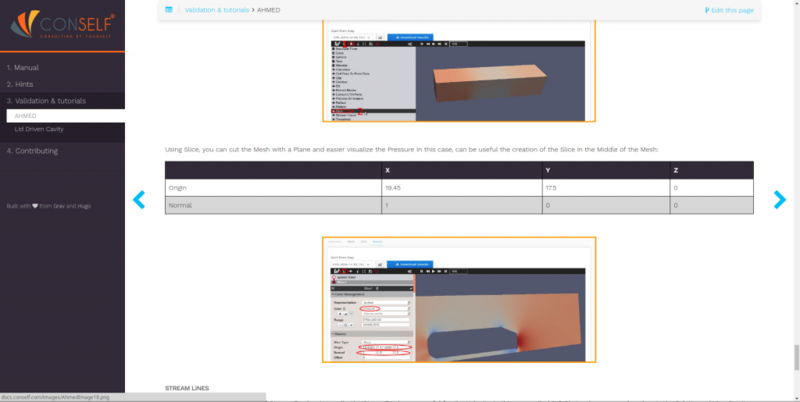 In this post we present the new CONSELF documentation system: a completely renewed environment where our users are able to easily find extensive material that will guide them in the learning process of CONSELF simulation platform. The new CONSELF documentation system can be found here: http://docs.conself.com/. The most important part of it is the user manual: it contains a detailed description of all parameters encountered in every step of each application section. A thorough explanation of its role, its range and often visual examples are provided to give the user an immediate idea on how to properly use it. Often explanatory commented videos are provided too, knowing they are the most effective way to provide elaborated information. Useful hints are also provided in a dedicated section. 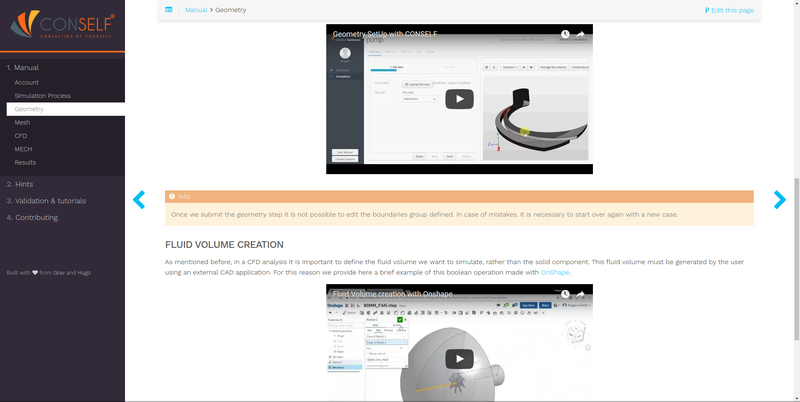 They are particularly important for novice users, providing suggestions (again by extensive use of commented videos) on particularly tricky aspects as CAD modeling for simulation and understanding platform error messages, advising proper corrective actions. Validations: here the user finds a collection of cases run with CONSELF platform, whose results are compared with reference data (which in turn may derive from experimental data, analytical solutions or other software results taken as a reference). Their goal is to provide evidence of accuracy and reliability. Tutorials: this subsection collects detailed resources explaining how to run a particular case in CONSELF. A step-by-step description allow even non-expert users to accurately reproduce complete simulations.